I got my hands on a delicious King Kale today from Juice Matters. Kale is becoming such a famous green and for all the right reasons! It is high in vitamins A, C, K and contains Calcium. Calcium: keeps your bones and teeth strong! Therefore, Kale will give your body a true nutrient boost. Adding kale to your salads, blending it in your smoothies, juicing kale, and just drinking kale juice is extremely beneficial to your health. 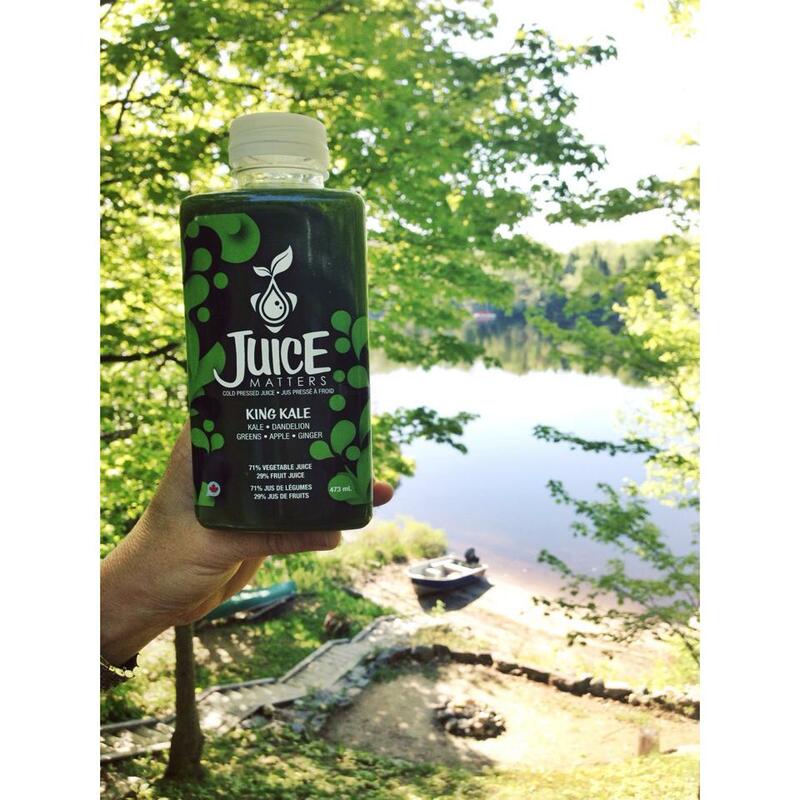 This cold-pressed juice by Juice Matters has no added sugars, preservatives or GMOs so you know you are getting the real stuff! It is low in natural sugars as it contains 71% vegetable juice. Natural sugars will not cause a drastic glycemic response in your blood sugars as a pasteurized, concentrated, sugary juice would. Cold pressed juices contain more fibres, pectins, enzymes and nutrients.